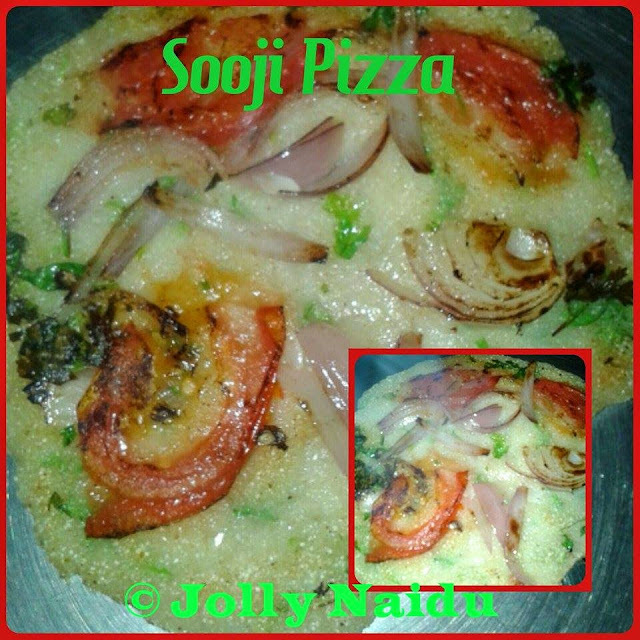 Today, I am posting 'Sooji Pizza | Veggie Semolina Pizza' which is a great option for breakfast. This recipe is very easy and simple to prepare within a couple of minutes. In this recipe, i prefer to add all colourful veggies like tomatoes, green chillies, coriander leaves and more. You can add any veggies according to your choice. This is a great option for picnic snack also. This special recipe of pizza which is just differ from other. This is purely vegetarian. This is very soft and crispy homemade sooji pizza. Quick and easy recipe prepared without any extra preparations. This can be served simply with tomato sauce. This is instant snacks recipe or you can have it anytime. In Bangalore, the weather is always pleasant and rain is falling anytime, for that time I am feeling to have it something like that only. So, Awesum mausam, its raining in Bangalore..so decide to make Sooji Pizza with cup of ginger tea, to enjoy every drops of rain. 1. Mix together Semolina and water and make a batter of it. 2. 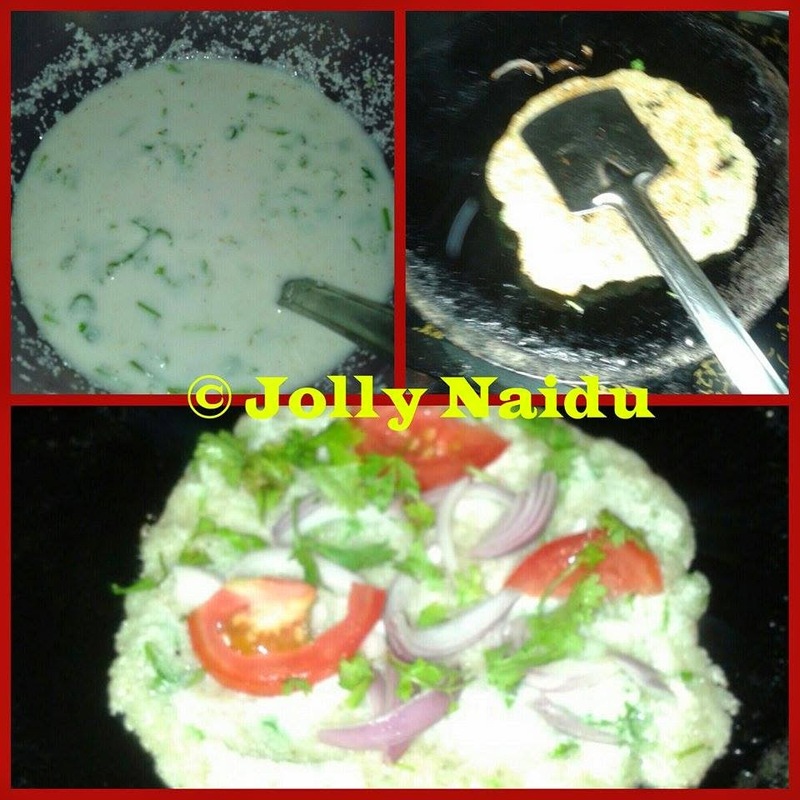 Add salt, black pepper, curd, coriander leaves and green chillies to the batter. 3. Heat 1/2 tbsp oil in a pan or a normal tawa, add a little of the batter to make a moderately it to thick pancake. Do not make it to too thin. Reduce heat. 4. Take the chopped vegetables and sprinkle them on top of the pizza. With the help of spatula, press them lightly so that they can go inside the surface of the cooking pancake. 5. Let it be cook for 2 minutes on medium heat. After that toss the pizza and cook the other side. Press lightly with spatula so that the vegetables on the other side are cooked well. 6. After 2-3 minutes, change the side again so that vegetables on pizza are on the top. 7. Sprinkle a little black pepper and coriander leaves on top. 8. Your Semolina Pizza is ready to serve with chilli sauce or tomato sauce.